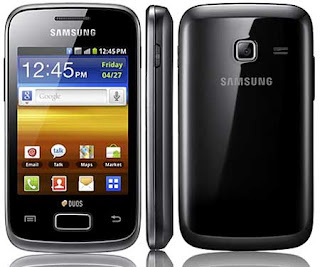 Samsung has now come up with its Dual SIM Android phone Galaxy Y Duos. It is marketed to people who want to use android phone along with two SIM cards. However several companies have launched Dual SIM android phones but let us see how the android phone giant Samsung has a hand above the other manufacturers and what features does Galaxy Y Duos have in store for us. 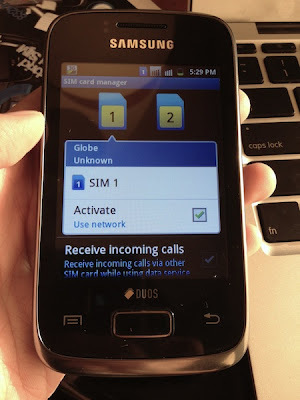 Samsung provided us with a piece of Samsung Galaxy Y Duos and here goes our hands on review. 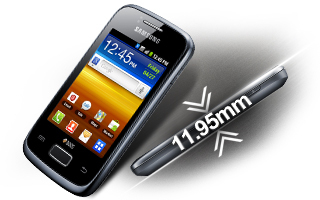 It has a capacitive touch 3.2 inch LCD touch screen with a resolution of 240×320 pixels. The 256k color are bit low to make the fonts look a little blur while reading but 176 ppi pixel density is good enough for image and video display. The phone is big enough to perfectly fit in hand and answering the phone calls. The phone looks more or less like other Samsung smart phones, but it is elegantly designed with curved edges at both bottom and top. The backside panel is made of plastic and can be easily removed with less effort. It is 11.95mm thick and has dimensions of 109.80 x 60.00 x 11.95 mm. The display screen is good enough for viewing with bright, clear visuals to truly enjoy all your videos, webpages and mobile applications without compromise. It is very lightweight and weighs 109 grams only and hence will be a fun for your pocket. The phone has latest Gingerbread Android version 2.3. The great thing about the phone at this price is the improved touchwiz interface which had made the screen so smooth that you can’t resist touching it and will enjoy the fun of adding widgets to your home screen. A thing that made us a little low is that Samsung have not yet declared if the OS will be updated or not but still the phone seems to be really promising due to its low price and enhanced touch screen. Although Samsung haven’t declared the type of processor being used in the phone but we loved it as it can handle multitasking and handle several apps simultaneously without any lags. This single core 832MHz processor is completely reliable and makes you tension free for your phone’s performance. The 384 MB Ram is good enough but it is advisable to run little less apps as some resources use more RAM than they are promised to use. We could not find much about the Graphic processor as Samsung haven’t declared anything about it on their website, but Graphical games like fruit ninja, angry birds, chess etc. could be played with much fun on the phone. It has an internal storage of 160 MB to install apps. This ROM space could be increased by using expandable memory of up to 32 GB via Micro SD Card slot. It has a 3 megapixel camera with Digital/Optical Zoom.The camera does not have flash support but quality is excellent when pictures are taken outdoors in light. The camera has various shot modes like single , smile and panorama. The video quality is too good and supports formats like 3GPP / H.263 / H.264 / MPEG4. 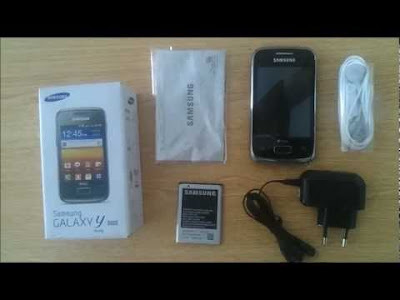 The phone has every connectivity you can think of containing GPS, Wi-Fi, 3G, Bluetooth 3.0 with A2DP, micro USB 2.0,AGPS, 3.5mm Audio Jack, SyncML (DM) Support (DM 1.2), PC sync application and Wi-Fi hotspot. Wi-Fi hot spot is really helpful if you want your phone to act as a router and share your internet connection to other Wi-Fi enabled phones. The default android browser is adequate to surf internet and is excellent for browsing and downloads. The browser page can be viewed in full screen as it supports HTML. 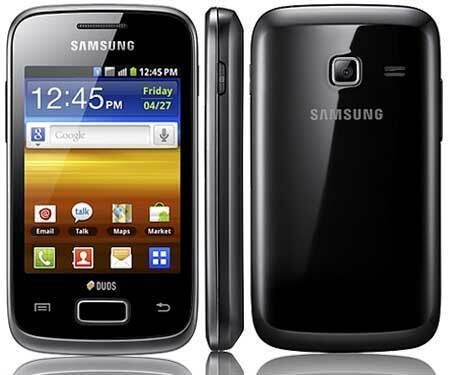 Galaxy Y Duos also support Adobe Flash and thus you can enjoy all the flash games and applications available on the internet. It has an enhanced battery capacity containing the standard Li-Ion 1300mah battery with a talk time of Up to 1,050 minutes and standby time of Up to 630 hours. It is proving out to be really good in terms of providing battery backup to a dual SIM smartphone. Samsungs’s Dual SIM phone Samsung Galaxy Y Duos was released in 2012 . After looking at such great features in a phone at such an affordable price Samsung Galaxy Y Duos seems much promising , and a deal not to loose!